Carlos Santana became famous in the late 1960s and early 1970s with his band, Santana, which pioneered rock, salsa and jazz fusion. The band’s sound featured his melodic, blues-based guitar lines set against Latin percussion. He experienced a sudden resurgence of popularity and critical acclaim in the late 1990s. 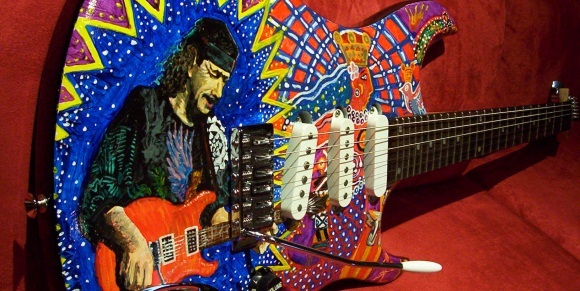 Rolling Stone named Santana number 15 on their list of the 100 Greatest Guitarists of All Time in 2003. He has won 10 Grammy Awards and 3 Latin Grammy Awards.